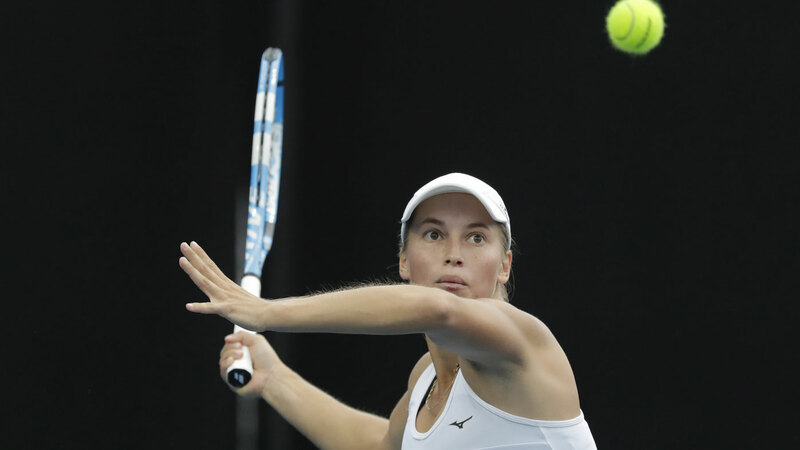 Kazakh tennis star Yulia Putintseva is fast becoming known as the biggest brat in tennis after several incidents over the course of the Australian Open, the latest of which saw the temperamental player give the crowd the middle finger. After going down in a heated clash 7-5 4-6 6-2 to Belinda Bencic on Wednesday, she couldn’t hide her disrespect for everybody involved. Putintseva was seen courtside after the match hurling insults at the crowd as she left and then gave them the middle finger. We don’t know exactly why she felt so aggrieved by the crowd’s reaction to her but it’s fair to say she might have been upset by the amount of love the crowd was giving Bencic. Her frosty exit from the match followed a very salty handshake exchange with Bencic at the net and she continued her impolite rampage when she gave the umpire the cold shoulder with a less than appropriate handshake. Putintseva was also slammed for her lack of sportsmanship when she barely gave Barbara Stycova any time at the net after their clash three days ago.